Our 1091 program handles are an easy fit clip-in recessed pull handle for sliding equipment panels or doors, or for light duty lifting, e.g. of storage boxes or portable instruments. They are manufactured in black polyamide but can also be custom moulded in polycarbonate. Standard 1091 handles accommodate from 0.8mm to 2.2mm panel thickness dependent upon the size of handle chosen – e.g. 93mm or 138mm. 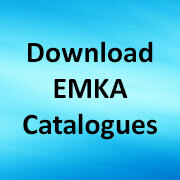 CAD drawings for these press fit draw handles can be downloaded from www.emka.com/uk_en/products/cad-files/. 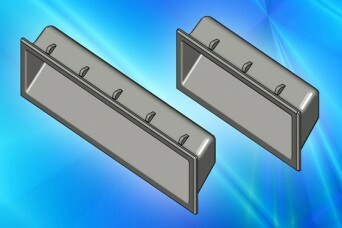 Share the post "Clip-in pull handles – for a quick sliding action"